it's a process, it helps to know what the journey might be like. This wellbeing tip strengthens your awareness. It simply helps you anticipate the ups and downs of change. If you experience a low point you’re not alone. Personal change is about introducing manageable steps towards a desired goal. 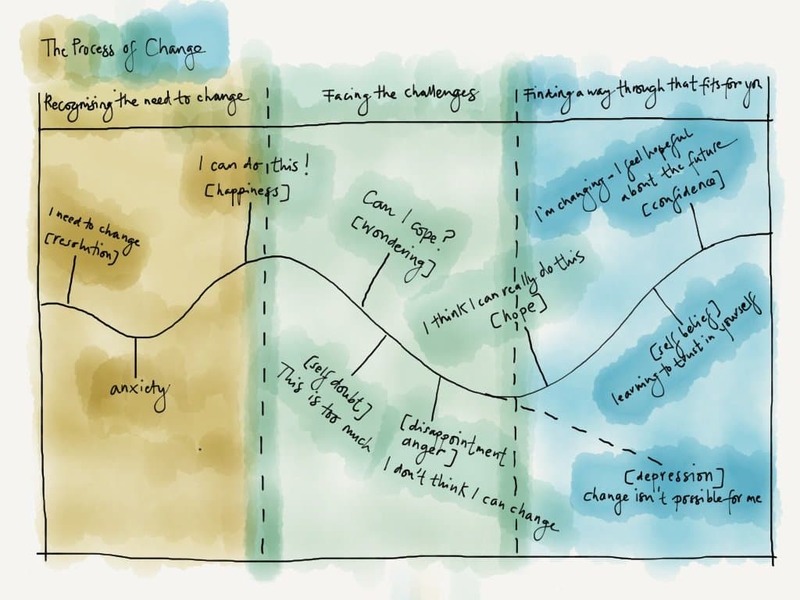 Change can be uncomfortable and the diagram shows a typical journey. 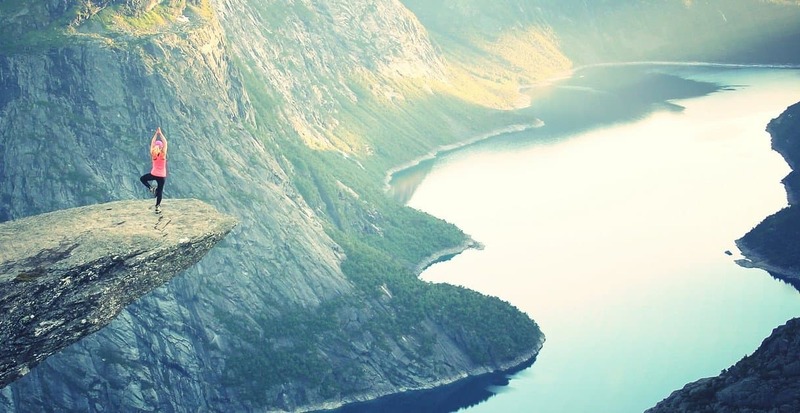 There will be moments when change feels too difficult or risky, or when you feel stuck. It’s good to know it’s a common experience. Building determination and self-belief and - particularly if you’re going for self-help rather than working with a coach or therapist - asking for help appropriately from your own network of friends and colleagues will help you overcome those stages like anxiety, self-doubt and disappointment. Support from others will help you succeed.